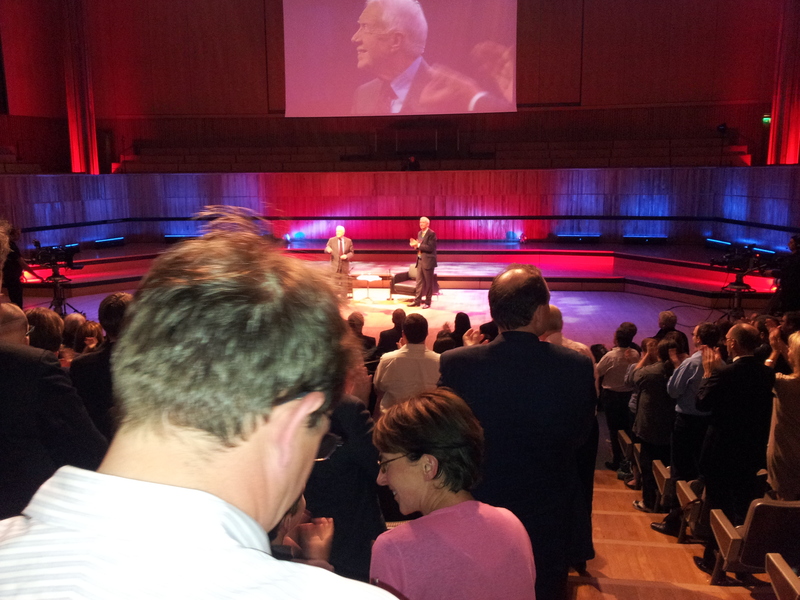 Huge turnout tonight to hear Jimmy Carter interviewed by Jon Snow at the Royal Festival Hall. He is still going strong at 87 –the things he has accomplished to date and is still hoping to achieve is quite inspiring and humbling. His depth and breadth of knowledge regarding everything going on in the world today was rather breathtaking. He is still involved in peacemaking efforts on a regular basis in numerous countries. Another example of what he’s doing: eradicating a disease from the planet. Jimmy Carter, through his Carter Center, is trying to eradicate the extremely debilitating Guinea worm disease. Through the efforts of his organization, the number of cases have dropped from 3.5 million to just thousands. It will be only the second time in history that a human disease is eradicated.